The 48th episode of THE FIRE AND WATER PODCAST is now available for your listening pleasure! THE FIRE AND WATER PODCAST is the official podcast of FIRESTORM FAN and THE AQUAMAN SHRINE. Shag and Rob discuss Justice League #18 (by Geoff Johns and Jesus Saiz). Next we dive right into Aquaman #18 (by Geoff Johns, Paul Pelletier, Sean Parsons, and Rod Reis), followed by The Fury of Firestorm: The Nuclear Man #18 (by Dan Jurgens, Ray McCarthy, Karl Kesel, and Hi-Fi color)! We wrap up with a few words about the late, great Carmine Infantino. You can find the 48th episode of THE FIRE AND WATER PODCAST on iTunes. While you’re there, please drop us a review on the iTunes page. Every comment helps! Alternatively, you may download the podcast by right-clicking here, choosing “Save Target/Link As”, and selecting a location on your computer to save the file (35 MB). 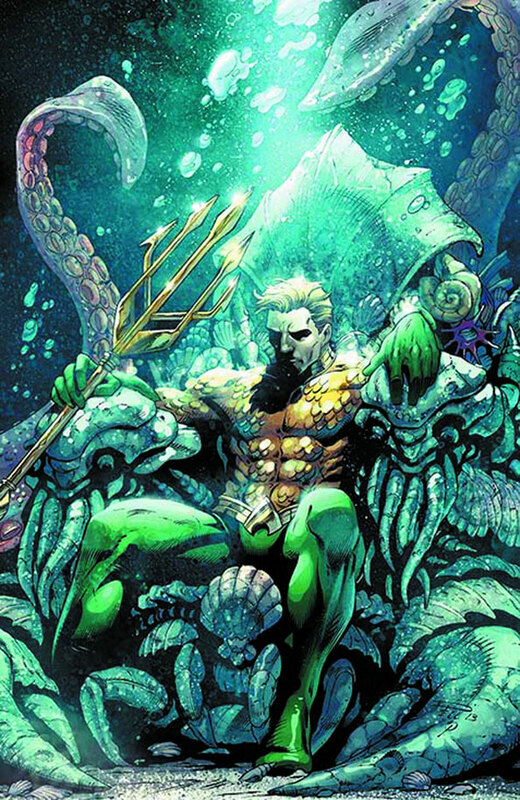 As always, thanks to my co-host Rob Kelly, Sea King of THE AQUAMAN SHRINE, for doing all the post-production on these episodes! Intro theme, “That Time is Now,” by Michael Kohler. Special thanks to Daniel Adams and Ashton Burge with their band The Bad Mamma Jammas for our fantastic original closing theme! Have a question or comment? Send us an e-mail at firewaterpodcast@comcast.net. Visit our Tumblr site at fireandwaterpodcast.tumblr.com. Check out the gorgeous virgin covers (meaning without the logos) to Fury of Firestorm#18, Justice League #18, and Aquaman #18 below! Posted in: Comic books, Dan Jurgens, Firestorm #10: New 52 v2 (Ronnie/Jason), Firestorm comic vol. IV, Geoff Johns, Justice League of America, Podcast. ← Firestorm Chair – WANT! Are the Super-Friends rounded borders supposed to make the comics more friendly, or to simulate the tv frame? I don’t know, both make sense. I think they did the same thing for Spidey SuperStories. Aquamn penciller Pauly P, really does have it hard. 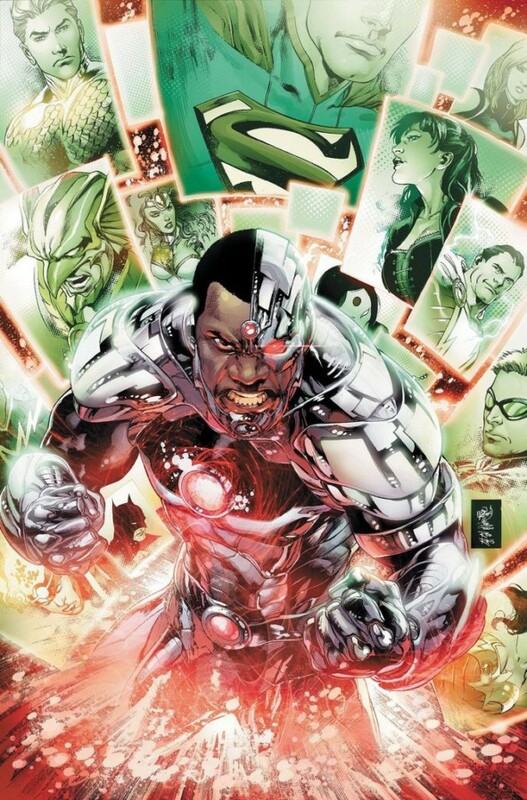 Because he is the guy that came after Ivan Reis on the book. I agree with Robb, he is slowly coming into his own. 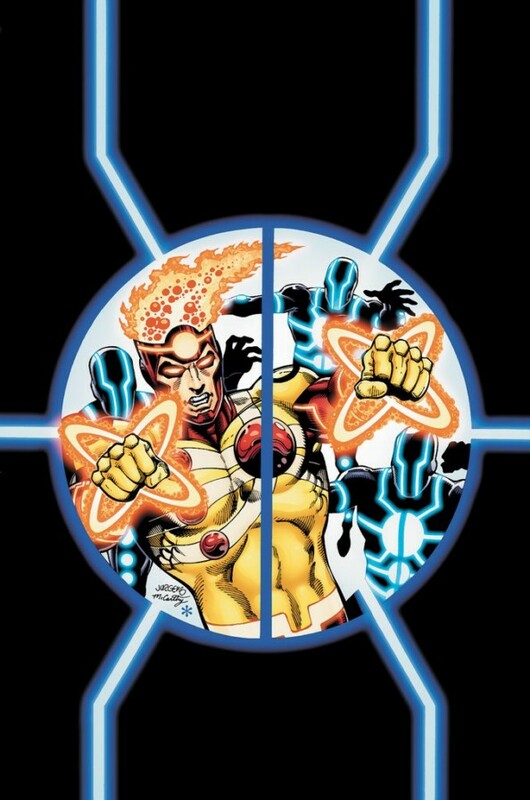 the disappointing thing about the Firestorm book, is that it’s coming to an end… Thanks DC. 1. Chuck Patton wouldn’t be too excited about a Vibe series either, but I expect he’d still prefer to receive a co-creator credit instead of Luke McDonnell. The good news is that fellow creator Gerry Conway reached out to DC with a correction, and they informed him that the problem would be solved by removing the character creation credits entirely from all future issues. Margaret Thatcher’s death has me of a mind to repurpose an Elvis Costello song for the eventual end of Dan Didio’s reign. 2. It could be pronounced Jesus “Says” or “Size,” depending on where he’s from. 3. I’m willing to accept Rhonda Pineda as the new Atom so long as Jesus Saiz continues to draw her. The costume adaptation is growing on me, and I’ll admit that Gil Kane’s design wouldn’t really work for a woman anyway. 4. I too am a character guy, especially when it comes to the cartoons. I find myself tuning out extended action sequences. Brawls get boring fast if there’s no true impact on the participants. 5. I’ve been listening to recent issues of Views from the Longbox and have responsive essays at various levels of completion. You know that thing Michael Bailey does where he runs commercials for other podcasts? I friggin’ hate that. Hate. HATE. You mean like nearly every podcast everywhere does? On a Word Balloon interview, I heard Greg Rucka pronounce Jesus Saiz as “Say-ezz”. But he also pronounced Jesus with an “H” so who knows? Thanks for all the comments! We’re hoping to cover lots of listener feedback on the next episode! I knew I could count on Frank to catch my “Bloodlines” comment. I don’t listen to any other podcasts. I’ve tried Views from the Longbox, but otherwise, all of my expectations come from Fire & Water. And I do not expect commercial interruptions. And I can be quite unpleasant about things, as demonstrated by my previous 47 comments. Honestly, F&W is the only show I listen to which does not do promos for other shows. I just had a huge comment disappear on me, so I am going to just say “good show” and be done with it.